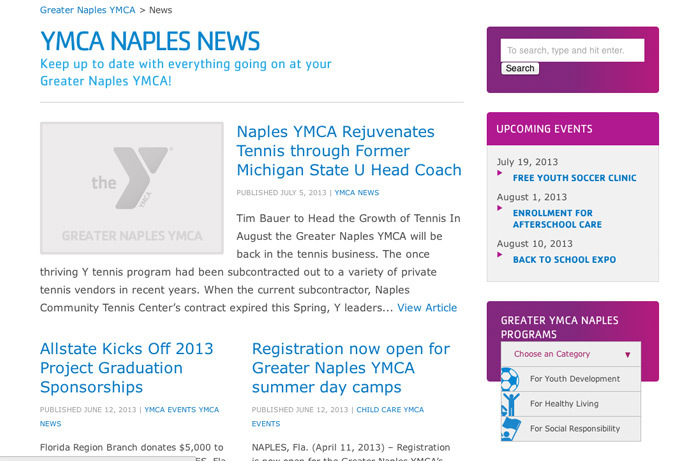 We were hired to design and develop a new website for the Greater Naples YMCA, in Naples Florida. With so many programs and activities, they required a web design & development company that understands user interface design and knows how to make an easy-to-use website that not only looks good, but provides visitors with information quickly and easily. 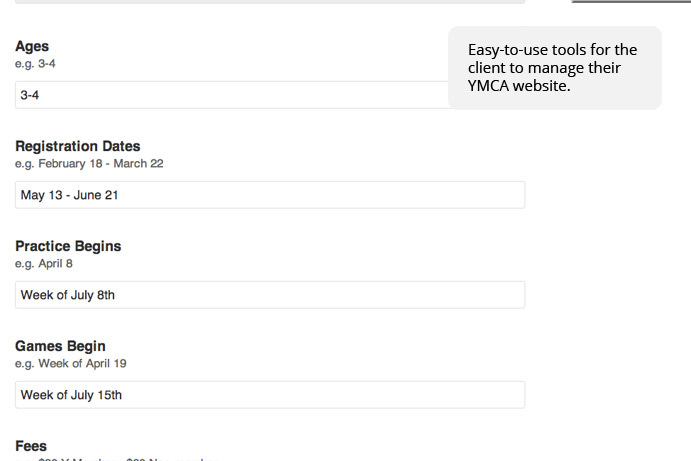 The new Greater Naples YMCA website features a large number of tools and functions to allow our client to completely control almost everything on the site. They can easily add, edit and delete site content, including programs, classes, events, staff, images and more. The Y organization recently announced that all Y’s must rebrand their locations and online and print marketing to match the new image released a year or so ago, and the Greater Naples YMCA trusted Brian Joseph Studios to help them move forward into their new identity following their new brand guidelines. 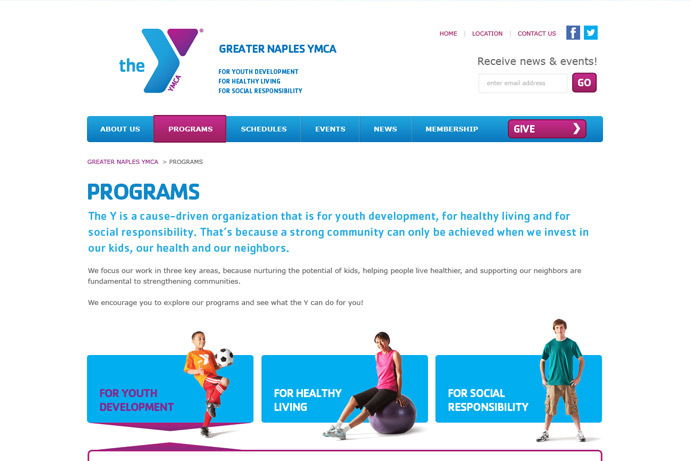 Greater Naples YMCA’s new website also takes advantage of responsive web design, ensuring that the website content is optimized for smaller screen sizes used on devices like tablets and smartphones.